This is a silver rosewater dispenser. It unscrews to open to be filled with rosewater or orange blossom water or even your favorite eau de toilette. 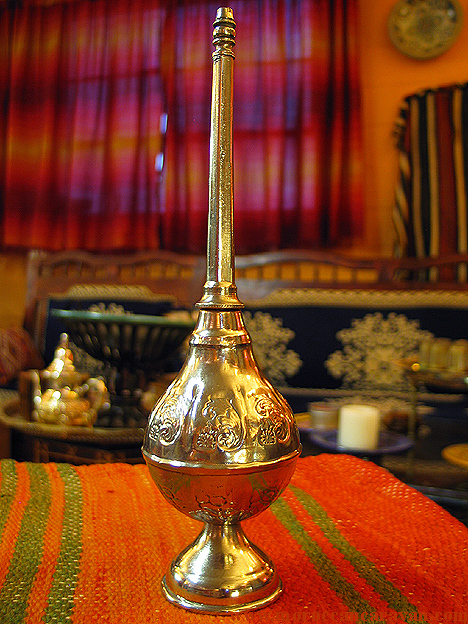 This dispenser is traditionally used in Morocco during special events to offer guests rosewater on their hands to welcome them and or to refresh after they have finished eating and have washed their hands. It adds spice to a party! You can also place this dispenser nearby your sink in the bathroom to have handy after washing hands!